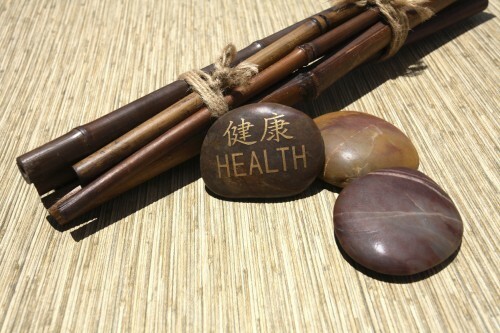 Traditional Oriental Medicine is a system of medicine that has been developed and refined over millennia. It originated from careful observation of the interaction between humans and their environments, and evolved into a holistic diagnostic and treatment system. In addition to the symptoms that the patient describes, some of the things that a practitioner of Traditional Oriental Medicine will take into consideration are the observation of the complexion and the tongue, palpation of the abdomen and the pulse, and even things the doctor can hear, such as the loudness or softness of the voice. All of these elements are taken into consideration before a diagnosis is made and a treatment plan is put into action. In this day and age, it is also useful for registered acupuncturists to know the results of bloodwork and other medical tests, as these, too, give insight into the inner workings of the body and a person’s constitutional tendencies. Traditional Oriental Medical treatment can consist of bodywork, such as acupuncture, moxibustion, cupping or guasha (more on these below), and the prescribing of herbal formulas. 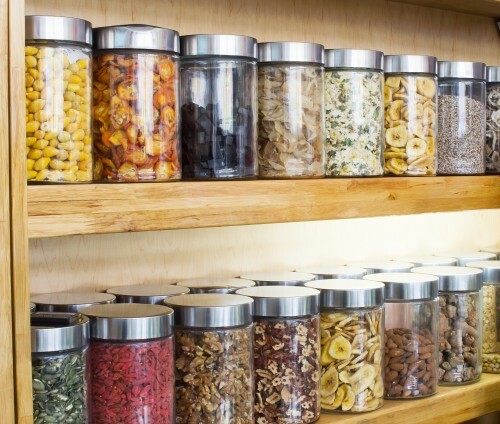 Acupuncturists may also suggest diet and lifestyle recommendations, and the best long-term results are obtained when this advice is followed as well. Acupuncture is the most well-known of the Traditional Oriental Medicine bodywork techniques and is often a central part of the treatment, with other bodywork techniques added as needed. It involves the insertion of very fine, filiform needles into specific points on the body. Acupuncture is best known for its ability to increase blood flow and facilitate the healing of injuries, but it is also able to regulate the body’s physiology and metabolism, as well as affecting mood and cognition. So the applications of acupuncture are diverse, and more information about the benefits of acupuncture can be found here. Moxibustion refers to the warming of acupuncture points, typically through the burning of moxa sticks or cones (made from fibres of the mugwort plant) over the skin to produce a comfortable sensation of warmth. Acupuncture stimulates mechanical receptors in the muscles, whereas moxibustion stimulates thermal receptors in the skin, so the two therapies can have slightly different effects on the body. Moxibustion is often done in addition to acupuncture, but depending on the pattern of disharmony that a person presents with, it can sometimes be done in place of acupuncture. Cupping and guasha are two techniques that help to relieve tension in our muscles and connective tissue and also help to invigorate blood circulation. They can provide very effective ways of releasing tension over a larger area (shoulders and upper back, for example), and they are also very effective at helping to resolve colds and coughs. After cupping or guasha, people often comment that the area treated feels warm and more relaxed. Both cupping and guasha can produce fine, red spots under the skin that fade away after a few days. Typically, the more red spots that appear, the greater congestion of circulation there was prior to the treatment, and the more likely the treatment will need to be repeated. As guasha or cupping are repeated in subsequent treatments, the amount of red spots that appears tends to diminish. Cupping is more well-known than guasha and involves applying glass or silicone cups on the skin and creating a vacuum within each, so that the skin is pulled up into each cup. The cups can then be kept in place for a period of time or, if massage oil was applied prior to application of the cups, the cups can be moved around to cover a larger area. For a guasha treatment, the acupuncturist applies massage oil to the skin and then strokes the skin in the treatment area with a guasha tool. Centuries ago, Japanese doctors recognized that children weren’t always receptive to needling, and they also observed the inherent sensitivity and responsiveness of children to even small amounts of stimuli on acupuncture points. So these doctors developed Shonishin, a system of treating the acupuncture meridians and points that doesn’t require the insertion of needles. 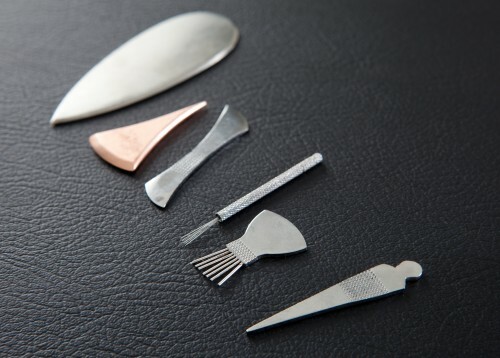 Instead, Shonishin involves the use of a variety of metal tools, all used on the surface of the skin. Some are used for tapping specific areas or acupuncture points. Others are used to stroke the skin along meridian lines. This gentle stimulation of acupuncture points may be used on its own for children who are newborn to 12 years old, or it may be combined with acupuncture. The treatment addresses the symptoms as well as the causes of the presenting disharmony, and additional lifestyle and diet recommendations may be made. After the treatment, children are usually relaxed and calm, and parents often report better sleep and mood for days after the treatment. For children with health challenges, weekly treatments are required in the beginning, with treatment frequency tapering off as improvement is noted. Health children can benefit from Shonishin as well. Traditionally in Japan, children would come for monthly treatments around the full moon to further enhance health and encourage strong immune function. For more information about the kinds of conditions that can benefit from Shonishin treatment, please see the Children’s Health page. Traditional Oriental Medicine can also involve the prescribing of herbal formulas. Herbal formulas can provide a great way of supporting the body between acupuncture treatments and addressing internal disharmonies to allow the body to better self-regulate. Herbal formulas also constitute one of the fastest ways of nourishing the body if it is deficient in blood or other vital body substances. Like with Asian bodywork, herbal therapy tends to have the greatest long-term benefit when lifestyle and diet issues are addressed and worked on as well. The original form of craniosacral therapy as discovered and developed by Dr. John Upledger, a doctor of Osteopathic Medicine who first noticed the craniosacral rhythm during surgery. He later realized that he could palpate the craniosacral rhythm from anywhere on the body, and that restrictions in the craniosacral rhythm could affect the nervous system, which governs all body functions. He designed many of the techniques used to assess and treat these restrictions. Upledger Craniosacral Therapy is firmly rooted in physical anatomy, but the effects of treatments often go far beyond, with patients often noting improvement not only on a physical level, but mentally and emotionally as well. Like acupuncture, craniosacral therapy has the additional benefit of helping to calm the fight-or-flight reaction to help the body regain a more optimal level of self-regulation. Upledger Craniosacral Therapy is a gentle, light-touch technique that is safe for all ages and stages of life. That said, only therapists with specialized training should work with children under 10 years old. Because of the immaturity of the skeletal system and bone structure, some techniques need to be modified for children in this age group. When treatment is provided by someone trained to work with infants and children, benefits can include better sleep, digestion and immune function, and improved cognitive and behavioral functioning. All children can benefit, and children with sensory processing issues, autism, attention deficit disorder, attention deficit hyperactivity disorder and other neurological concerns can often greatly benefit from long-term care. Craniosacral therapy is also beneficial and safe for pregnant women and women trying to conceive. There is some evidence and lots of clinical experience that suggest that manual therapies, such as craniosacral therapy, can be beneficial in promoting conception in women with fertility challenges, through improved blood flow to, and enhanced lymph drainage of, the reproductive organs. Genevieve’ craniosacral therapy training with Upledger Institute International includes the treatment of children and women in pregnancy. Craniosacral therapy can be performed on its own or in combination with acupuncture treatment.